Participants including Director IIM Sirmaur Dr Neelu Rohmetra performing a Yog Asan. JAMMU, June 21: The 3rd International Yoga Day was celebrated with enthusiasm across the State. International Yoga Day Coordination Committee, Jammu in collaboration with AYUSH Department organized 3rd Yoga Day event at Brahman Sabha, Parade. 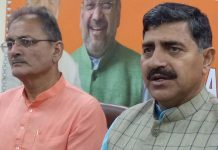 Union MoS Dr Jitendra Singh, BJP State President and MLA Sat Sharma, Minister for Health and Medical Education Bali Bhagat, Lok Sabha MP Jugal Kishore Sharma and a large number of prominent citizens were among those who joined the public. While speaking, Dr Jitendra Singh said that celebration of this day is one of the biggest achievements and credit to its foreign outreach goes to PM as UNO adopted a resolution to internationalise yoga. He added that yoga is not ensuring physical or mental well being only but more than that it is unifying all nations all over the world regardless of their religion and region and this is evident when entire world is celebrating yoga day today. Convenor Advocate Chander Mohan Sharma, members of Bharatiya Yog Sansthan, Paratanjali Yog Peeth and Dr TR Raina, Yog exponent and senior functionaries of the administration were also present on the occasion. Deputy Chief Minister Dr Nirmal Singh while highlighting the importance of Yoga in the development of human persona said benefits of this traditional form of exercise and meditation is known since times immemorial and now onus lies on us to ensure its propagation as well as promotion. Dr Singh was addressing participants who had gathered to perform Yoga in wee hours at Srinagar on the International Yoga Day. Minister for Industries Chander Parkash Ganga, Ex-MP, Avinash Ray Khanna, Member Central Waqaf Board, Dr Drakshan Andrabi, Vice Chairman J&K Project Construct Corporation (JKPCC) Khalid Jahangir, MLC Ramesh Arora, KVIC North Zone Member Dr Hina Bhatt and people from different walks of life were present on the occasion. The session was later followed by an interaction between the participants and the yoga experts in which various health benefits of yoga were discussed. On the occasion of International Day of Yoga, Yog Centre of Central University of Jammu organized a programme at its Temporary Academic Block (TAB), Sainik Colony, Jammu. Kavinder Gupta, Speaker, J&K Legislative Assembly was the chief guest while Prof Ashok Aima, Vice Chancellor of CUJ presided over the function and Vikram Randhwa, MLC was special guest on the occasion. Sanjay Aseen, yoga expert educated the participants about various yoga postures and asans. Dr DL Choudhary, Incharge The Yoga Centre of CUJ was also present. Certificates and mementos were also distributed to the schools, NGO’s and individuals who were part of the Yoga camp. Department of Students Welfare (DSW) of Central University of Kashmir (CUK) in collaboration with the Jammu and Kashmir Government College of Physical Education celebrated third International Yoga Day in Ganderbal. Students from various departments of the University participated in the event. Vice-Chancellor, CUK Prof Mehraj ud Din Mir, Registrar, Prof Mohammad Afzal Zargar, Dean Students Welfare, Dr Fayaz Ahmad Nikka, Coordinator Innovations Dr John K Babu, Principal Government College of Physical Education Ganderbal Kashmir Dr Hartej Singh and other faculty members of the college joined the students on the occasion. The students of both the institutions performed different Yoga asans shown by the trainer during the event. A large number of people participated in special yoga classes organized by district administration in collaboration Department of Youth Services and Sports and different NGOs to mark the 3rd International Yoga Day under the theme ‘Yoga for Health’ at Government Degree College Boys. MLA Pawan Kumar Gupta, DDC Niraj Kumar, ADC, Avny Lavasa, Additional SP, Faisal Qureshi, Commandant 187 BN CRPF, Harindar Kumar, Second-in-Command 187 Bn CRPF, Devanand, Chief Planning Officer, Ashok Khajuria, Chief Medical Officer, K.C Dogra, senior officer of civil, CRPF and Police, representatives of Patanjali Yoga Samiti, Bhartiya Yog Sansthan, Art of Living, large number of students, women and prominent citizens participated in the yoga session. International Yoga Day was celebrated at Government Higher Secondary School Ramban, wherein MLA Ramban Neelam Kumar was the chief guest. The event was organised by the AYUSH, Youth Service and Sports, Information and Public Relation and Patanjali Yog Peeth Ramban in coordination with District Administration Ramban. ADC Ramban Angrez Singh, Deputy CMO, Dr Iqbal Bhat, Nodal Officer AYUSH, Shashi Kant Sharma, DYSSO, Principal of host school and other officers besides President Patanjali Yoga samiti Ramban, Amar Singh participated in the event. A 45 minutes yoga session was organised by Dr Masood Zargar and yoga instructors of Patangli Yoga Peeth. 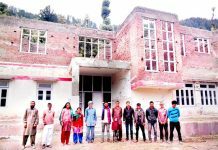 Similar yoga camps were also held at Batote and BVM High School, Ramban. International Yoga Day was celebrated at Sub Divisional Headquarters Gandoh. 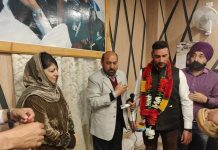 MLA Bhaderwah Daleep Singh Parihar was the chief guest on the occasion, while SDM Gandoh Choudhary Dalmir was guest of honour. Officers from civil and administration, senior citizens, students from different schools, teachers and locals performed various yoga asans under the guidance of Joginder Shashtri and Vaid Kumar Kotwal. 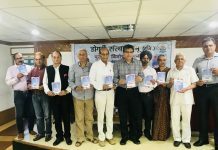 Chuni Lal, President Bharth Swabhiman Trust Gandoh Bhalessa, officers and officials of 4RR and SSB, Balwant Singh Parihar, Pardeep Kotwal, Dewan Singh Yogh Parbhari Tehsil Gandoh Bhalessa, Dr Anayat Ali Rather, Zafrulla Mir, Lecturer Urdu Harminder Singh, Sunny Gupta SDPO Gandoh, Roop Lal, Amar Chand and many others were present on the occasion. Indian Institute of Management (IIM) Sirmaur celebrated the 3rd International Day of Yoga. A yoga session marked the start of the day which saw participation from the faculty, staff and alumni of IIM Sirmaur, and the students from Guru Nanak Mission Public School and The Scholar’s Home in Paonta Sahib. Prof Vaneet Kashyap, Convener of the event presented the welcome address and threw light on the history of yoga as a practice. Speaking on the occasion, Prof Neelu Rohmetra, Director, IIM Sirmaur highlighted the benefits of practicing yoga and its contribution toward one’s character-building and overall well-being. She further added that yoga helps a person to live disciplined and harmonious life and tends to develop inclination towards service of mankind. She thanked the Prime Minister of India, Narendra Modi, the Ministry of Human Resource Development and the Ministry of AYUSH for promoting and propagating the science and practice of yoga throughout the world, especially among the youth. Rajnikant was the expert trainer for the conduct of yoga session. As part of International Day of Yoga celebrations, Shri Mata Vaishno Devi Shrine Board organised a mega yoga event at its Sports Complex at Katra. The chief guest Ajeet Kumar Sahu, Chief Executive Officer of the Shrine Board along with Anshul Garg and Dr MK Kumar, Additional CEOs of the Board, Amit Vermai, Deputy CEO, Ashok Kumar, Director Sports, SMVDSB, children, prominent citizens, people of the area, pilgrims, officers and staff of the Shrine Board and officers and jawans of CRPF participated in the yoga event during which a series of asanas and pranayam were performed under the guidance of yog Gurus, Dayal Ram and Dinesh Kumar. CEO presented mementoes to Akriti, student of class 4th and Paryas, student of class 8th, for their laudable performance in yoga. Eight days yoga camp organised by Yoga Centre of University of Jammu to mark 3rd International Day of Yoga concluded at gymnasium hall of the Directorate of Sports and Physical Education, University of Jammu. The camp was organized for the employees, scholars, students of the University and people from the civil society. Prof Deshbandu Gupta, Dean Academic Affairs, University of Jammu was the chief guest on the valedictory function. He awarded participation certificates and mementos to the participants and demonstrators. 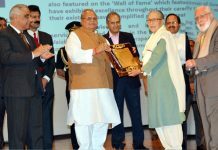 Prof Avtar Singh Jasrotia, Director Yoga Centre, University of Jammu, Sanjeev Kumar, Yoga Teacher of the Yoga Centre and many others were present on the occasion. Shri Mata Vaishno Devi University, Katra, celebrated 3rd International Yoga Day. On the occasion, a yoga practice and demonstration session was organized. Gurmel, Junior Assistant in the Security Wing of the University and a trained yoga instructor guided the participants for various yoga postures and mediation techniques. There were three prizes declared for the best performers on the advice of the instructor. The first prize of Rs 2000 was shared by Akanksha (Class XI) and Pratiksha (Class VIII), both students of MHAC, Nagbani, the second prize of Rs 1500 was shared by Dr Pabitra Kumar Jena, Asstt Prof and Sandeep Tiwari, PhD student, Department of Economics and the third prize of Rs 1000 was jointly bagged by Akhil Gorkha, B. Tech student, Department of Electronics and Communications Engineering and Sudarshan, a house keeping staff. The winners will receive their prizes from Vice-Chancellor Prof Sanjeev Jain. International Yoga Day was celebrated at Government Hospital Gandhi Nagar Jammu. A seminar was organized, wherein Dr Sanjay Bhat from AYUSH Department Government Hospital Gandhi Nagar spoke at length about the Yoga, followed by Dr Lovleen Kour. Dr Madhuri Slathia Medical Superintendent and Dr Arun Sharma Deputy Medical Superintendent along with all staff were present along with other nursing students. NCC wing and NSS units of Government College for Women Udhampur organized a lecture and yoga session to celebrate World Yoga Day. Dr Chander Shekhar, Principal of the host College along with NSS Programme officers and Prof Sumita Rao, Incharge ANO of the College were also present. The resource persons Hansraj Shastri and Chhaju Ram Khajuria from Bhartiya Yoga Santhana, Udhampur briefed the NSS volunteers and NCC cadets with about the importance of yoga. NCC girls unit of GDC RS Pura celebrated International Yoga Day under the guidance of Prof Bindu Kumari, NCC Incharge. Prof Kalpana Kesar, Principal of the college was the chief guest. 14 cadets participated and performed various asanas. To commemorate International Yoga day, a yoga session was organised at PG College Bhaderwah by NCC unit of the college in which NCC cadets, staff and other students participated and performed yoga asnas under the supervision of Dr Javid Iqbal NCC officer of the college. International Yoga Day was celebrated at GDC Samba by NCC Naval wing. On the occasion, Principal Dr GS Rakwal highlighted the importance of the yoga. The cadets of different colleges including SPMR Commerce College, MAM College and GDC Kathua also participated. Dr Seema, Incharge Naval Wing, Dr Dalbir Singh and others staff members attended the function. NCC cadets of Army wing and Naval wing of GDC Doda celebrated International Yoga Day. Various Yoga exercises were performed under the guidance of Captain Prof Babu Ram ANO Army wing and Prof Ajay Kumar C/T ANO Naval wing. 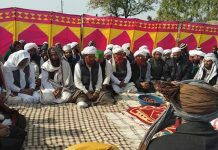 Principal GDC Doda Dr Shafqat Hussain Rafiqui, Prof Falak, Staff Secretary GDC Doda, Dr Ajaz Ahmed, Prof Dr Wahied Khawar Balwan, Dr Jamsheed Ahmed and Prof Imtiaz Ahmed were also present. International Yoga Day was celebrated by the NCC cadets of 1st and 2nd Girls Battalion of both Army and Naval wings at Government PG College for Women Gandhi Nagar. More than 200 cadets, Commanding Officer of 2 JK Girls Battalion Col RK Sharma along with his team, Principal of the college Dr Koushal Samotra, Dr Sudhanshu Sharma, ANO’s and Hostel warden participated in the yoga event under the guidance of Yoga expert Prof Uma Sharma along with her team of Patanjali Yog Samiti. Government Degree College Thanna Mandi celebrated International Yoga Day. Saif Ali, PTI of the college performed many activities of yoga along with the NSS volunteers of the College. Waqar Ahmed, Chief librarian of the college presented a lecturer on the importance of Yoga. Principal of the college Dr Shakeel Raina was also present. Third International Yoga Day was celebrated by NSS and NCC Units of GCW Kathua under the guidance of Dr Nutan K Resutra, NSS and NCC Officers Prof Madhvi Patasher and Prof Shakun Mahajan. NCC cadets and NSS volunteers’ alongwith staff of the college performed various yog asans. Government PG College Rajouri celebrated International Yoga Day. The faculty members, students and non-teaching staff members participated in the programme. Different popular yoga exercises were performed by the participants. Principal of the College Dr Javaid Ahmed Qazi threw light on the importance of the day. Dogra Law College celebrated International Yoga Day in which 30 students participated and were acquainted with various aspects of yoga, throwing light on the importance of the Yoga in today’s busy life style. 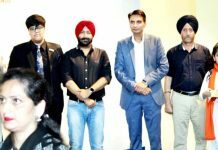 Secretary Dogra Educational Trust, Samar Dev Singh Charak presided over the function he said, while Principal, Dogra Law College, Prof VP Magotra and many others were present on the occasion. To commemorate International Yoga Day, Bhargava College of Engineering and Technology held a yoga session for the college students. The yoga expert Sanjay Kumar gave presentation of yoga and pranayam to the students. 3rd International Yoga Day was celebrated at Aryans College of Engineering, Aryans Business School, Aryans Institute of Management and Technology, Aryans Institute of Nursing, Aryans College of Law, Aryans College of Education and Aryans Degree College. Dr Raman Rani Gupta, Director, Aryans Group addressed the team members and displayed various asans. Institute of Management Sciences (IMS), Gurha Brahmana, Patoli, Jammu celebrated International Yoga Day today. On the occasion, Prof SK Gupta, Director IQAC, Managing Director, Er Renu Bangroo, Prof JR Dhotra, Director, IMS, faculty members and students were present on the occasion. Ravi Kant Gupta, Yoga expert after explaining the role of yoga practically demonstrated a number of aasans, exercises and pranayam. Yoga camp was organized by National College of Education Purkhoo Camp, Domana, Jammu. Students and teachers were told about the benefits of yoga. Students also performed many aasans and other yogic activities. Er Ajay Jamwal, Dean Administration of College, Dr Manju Dwivedi, Principal and many others were present on the occasion. Jammu Institute of Ayurveda and Research (JIAR) and NSS and NCC units of Trikuta Degree College under Shri Sain Charitable Trust for Higher Education and Research celebrated 3rd International Day of Yoga. Suman Sharma, Chairperson of the college was the chief guest on the occasion, while Ritesh Sharma and Ravish Sharma were the guests of honour being the Trustees. 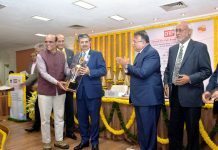 Japna Sharma and Jasuda Sharma, Chief Executive Officers were the special guests and Dr Vishav Bharti Principal Trikuta College of Education, Dr Raghuvir Singh, Principal of the college and Dr Nitin Mahajan, Vice Principal were also present. Dr Abhishek Magotra conducted the yoga session with his team members. International Day of Yoga was celebrated at IGNOU Regional Centre, Jammu. Dr Shreyansh Kumar Jain, internationally famous yoga guru and Professor of Yoga associated with University of Jammu was chief guest on the occasion. Dr Joginder Kumar Yadav, Regional Director presented the welcome address. Dr SK Jain made the gathering aware about importance of making yoga the way of life. Dr Jain assisted by Nivedita Sharma from the RC also demonstrated different yog asanas and mudras. Dr Sandeep Gupta, ARD, Tejinder Pal Singh, AR and other staff members were also present on the occasion. Ramisht College of Education was celebrated by Ramisht College of Education, Basholi, wherein students and staff members performed various yoga asans and pranayam. Yogananda College of Engineering and Technology celebrated International Yoga Day. Director YCET Dr Arvind Devangan welcomed and thanked Er KR Sharma for benefiting the faculty members and students with the real essence of yoga by performing different asans. 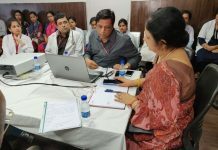 Chief coordinator Er BRVerma, Deputy Registrar RS Dalpatia all the departmental COD’s, teaching and non-teaching staff participated and performed various aasans. Northern Regional Campus of Indian Institute of Mass Communication Jammu celebrated International Yoga Day in collaboration with Morning Walker’s Association of Evergreen Park, Channi Himmat, Jammu and ‘Rotary Club’ Jammu Mid town. While speaking, Col (Retd) Karan Singh announced to hold yoga session daily in the Evergreen park from now onward. Regional Director IIMC, Manohar Khajuria was also present. Kendriya Vidyalaya Nagrota celebrated Yoga Diwas. Incharge Principal Bimla Pandit, staff members, teachers, students and all other employee participated in the Yoga Diwas. School yoga teacher Archana Sharma directed the students and staff members to perform the Yoga in a prescribed manner. KV Sunjuwan celebrated International Yoga Day. Deputy Commissioner S Sambana, KVS, JR also participated in the mega event and was accompanied by DR Meena, Assistant Commissioner, KVS, JR. Suman Sharma, PRT, KV Sunjuwan involved involving one and all in the pranayams and the yog asanas. KV Jyotipuram celebrated International Yoga Day, wherein around 200 students and 40 staff members performed different yoga asans. Yog guru highlighted the benefits of the yoga. APS Damana organized yoga in the school premises on the eve of International Yoga Day. NCC cadets and the staff members participated in the event. Various yoga asanas were taught to improve concentration and stress management. Dr Renu Gupta, Principal of the school and Kailash Kumari C/T Girls NCC cadets were also present. Army Public School Jammu Cantt celebrated International Yoga Day. Rachna Sharma TGT English and ANO demonstrated the mudras which help in improving the retention power. The chief guest of the ceremony was Ratna Mallick, Principal of the school. PPT prepared by the ANO T/O Rachna Sharma pertaining to the knowledge about yoga was shown to the students. International Yoga Day was celebrated at APS Akhnoor in which teachers, NCC cadets and parents performed yoga activities. 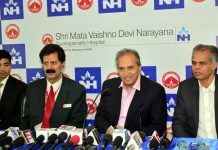 Yoga master Anita Gupta, Principal KCS Mehta and NCC Instructor Joginder Paul were also present. APS Kaluchack celebrated International Yoga Day in which Principal, staff members and students participated. Principal Hemlata Vishen reckoned many benefits of early rising and practicing yoga. Jammu Sanskriti School Kathua celebrated Yog Diwas by performing different assans of Yoga. All the staff members, menial staff and parents participated in it. The day was celebrated under the supervision of Shuchita Gupta Principal of School. Administrator Govind Ram Sharma, Coordinators Pardeep Kour, Smriti Sharma and Shruti Sharma were also present on the occasion. NCC Cadets of Government Higher Secondary School Pouni celebrated International Yoga Day led by Associate NCC Officer Sunil Sharma under the supervision of Principal Inderjeet Devi. On this occasion Rajinder Khajuria, Master as well as expert of yoga performed various assanas and briefed cadets about benefits of yoga. Government Higher Secondary School Chiralla celebrated 3rd International Day for Yoga under the guidance of Master Rajinder Singh and Physical Education Teacher Surjeet Singh. The programme was organised on the supervision of Principal SK Pandita. Special lectures highlighting the importance and benefits of yoga were delivered by a number of students. Government Higher Secondary School, Budhi, Kathua celebrated International Yoga Day. On the occasion, NSS volunteers, students and staff members performed yoga asans under the guidance of Yoga experts Jyoti Bhadwal and Chain Singh. NSS Programme Officer Dharam Paul and Principal Naresh Sharma were also present. International Yoga Day was celebrated at Government Higher Secondary School, Saruinsar. NCC cadets and staff members performed yoga asans. International Day of Yoga was celebrated in Government HSS Jaganoo. On the occasion, Principal of the school Chanchal Rani was the chief guest and Ashok Sharma, District President of All J&K Plus 2 Lecturers’ Forum was the guest of honour. NCC cadets of Senior Division and Junior Division of the school performed various yogic postures under the supervision of NCC Officer Captain Arunesh Kumar of Senior Division and Caretaker NCC Junior Division, Narinder Raina. Nehru Yuva Kendra Sangathan Jammu & Kashmir organized mega events on 3rd International Day of Yoga at Kupwara, Srinagar and Leh. More than 800 youth from NCC, NSS, schools, college, Youth Clubs, officers of District Administration, AYUSH doctors, Youth Services and Sports Officials, Yog Gurus and other guests participated at Tourist Reception Center premises at Kupwara. 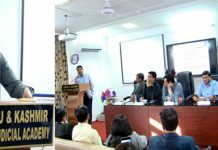 Director General NYKS Major General Dilawar Singh announced a unique scheme for the youth of Kashmir under the title of, “Yoga for Empowerment and Employment of Kashmiri Youth”. Under this scheme various Yoga programmes were conducted on the eve of International Yoga Day throughout the state by Nehru Yuva Kendra Sangathan. Department of Youth Services and Sports celebrated World Yoga Day at indoor complex, Gandhi Nagar, wherein Joint Director Youth Services and Sports Jammu Madan Lal along with DYSSO Jammu and other district level officials of the department made their presence. A large number of school children participated in the programme. Department of Youth Services and Sports in collaboration with Bharat Swabhiman Trust and District Unit of Patanjali Yog, observed 3rd International Yoga Day at Reasi. DDC, Ravinder Kumar was chief guest while SSP Tahir Bhat was guest of honour on the occasion. A two hours yoga session was conducted by Madan Lal, Jaswant Singh and yoga instructors of Patanjali Yoga Peeth. Various educational institutions, Government departments, social organizations, NCC units participated to celebrate 3rd International Yoga Day. Nehru Yuva Kendra in collaboration with district administration and AYUSH observed International Day of Yoga at auditorium of GDC Kathua. DC Ramesh Kumar was the chief guest on the occasion. A large number of persons from all walks of life, Youth Clubs, Mahila Mandals, Patanjali Yog, various social, religious, yoga and meditation organizations, NGOs, education institutions and Police Training Schools participated in the yoga session. Under the supervision of DDC Rajouri, Dr Shahid Iqbal Choudhary, AYUSH Department of Indian System of Medicines in collaboration with District Youth Services and Sports department observed the 3rd International Yoga Day. ADC Mumtaz Ali Chowdhary along with Government employees, sportspersons and students performed various yogasanas at PWD Dak Bunglow. At Sub-Divisional headquarters Nowshera and Sunderbani, SDMs Harbans Lal and Kartar Singh respectively inaugurated the IYD. A program was organized by District Youth Services and Sports Department at Poonch under the supervision of District Youth Services and Sports Officer Poonch. SSP Poonch Rajiv Panday was chief guest on the occasion while ADC Gurvinderjeet Singh was the guest of honour. Yoga programme was organized by Assistant District Medical Officer (AYUSH) Doda in collaboration with Department of Youth Service and Sports and District Administration. DDC Bhupinder Kumar was chief guest on the occasion, while SSP Shabir Khatana, ADC Mohd Hanief Malik, CMO Wajid Ali najar, DYSSO Ashok Kotwal and other district officers were also present. Third International Yoga Day was celebrated in Parade ground Kishtwar. The programme was organized by the Department of Youth Service and Sports in collaboration with district administration. SSP Sandeep Wazir was chief guest. DYSSO, Deewan Chand Thakur besides other officers were also present on the occasion. BVM High School Kishtwar also celebrated International Yoga Day, wherein DC GN Balwan was the chief guest. Yoga camp under the supervision of Director General of Police, Prisons J&K, SK Mishra was conducted by the Art of Living Organization headed by Hemu Lata. Later, a cultural programme by the artists of Song and Drama Division, Ministry of information and Broadcasting was organized in District Jail Jammu. Superintendent District Jail Jammu, Javid Masood Fazili was also present on the occasion. International Yoga Day was celebrated in Central Jail Kot Bhalwal in which jail inmates, jail staff besides officers and officials participated. Rajan Salathia, Faculty, Art of Living and his team members performed yoga asans with the jail inmates and staff members. A cultural programme was also organized on the occasion. CRPF Battalion 76-B and 160 Battalion held the celebrations of International Yoga Day at Channi Himmat park in which BJP All Cells Incharge Varinderjit Singh was the chief guest. White Knight Corps celebrated International Yoga Day, today. All ranks stationed at Nagrota garrison as also along the Line of Control performed Yoga at respective unit locations under supervision of trained Yoga instructors in the early hours. Lt Gen AK Sharma, General Officer Commanding, White Knight Corps, also actively participated in the Yoga session. On the occasion of International Yoga Day, Yoga and meditation class for all personnel of the Air Force Station Jammu was conducted today. A total of 400 personnel of the station participated in this event despite inclement weather and rain. Rifles Battalions based at Nowshera, Gool, Bagga, Samote, Kalal, Lam and Kalakote of Reasi district under the aegis of Force Headquarters at Reasi celebrated International Yoga Day. Officers, Junior Commissioned Officers and Jawans participated in the Yoga session. Yoga classes were also held for the youth of the region in a series of events by the Army. 38 Battalion CRPF celebrated 3rd International Day of Yoga at Unit Headquarter, Smailpur in Samba district. Ram Kumar, Commandant of the Battalion, other Officers and Jawans participated in Yoga session organized on the occasion. In connection with International Yoga Day, a Yoga session was organized at BSF Camp, Paloura. About 1500 participants including officers and men of BSF, CRPF, ITBP and SSB attended the camp and performed various Asanas. In the true spirit of “Yoga”, the Army at Holta Cantonment celebrated the third International Yoga Day, today. Around 450 enthusiastic people from Palampur unit jointly made this event a grand success. The crowd was also educated about the importance of Yoga. Indo Tibetan Border Police Force (ITBP) based in Leh, celebrated the 3rd International Yoga Day at famous Sindhu Darshan Ghat, Leh. The yoga session was conducted by Ravikant Gautam DC 5th Bn and other trained Yoga tutors of ITBP. The event was presided over by JP Yadav DIG (Ladakh) ITBP, who practiced yoga along with other commanding officers of ITBP formations based at Leh and other Himveers. Yoga Day was also celebrated in Kargil at Helipad by 121 Infantry Brigade. Brigadier TK Chopra, Army officers and Jawans of the Brigade participated in the Yoga session organized on the occasion. A Yoga session was organized at District Jail, Udhampur, by Sangeeta Chouhan and Sunil Sharma (Yoga teachers from Art of Living, Udhampur) to celebrate International Yoga Day. All Jail inmates and staff members participated in the yoga session. The officers and troops of Border Roads Organization along with ladies and children participated in a mass “YOGA MELA” organized today by Chief Engineer, Project Sampark of BRO, on the occasion of International Yoga Day. All participants showed full enthusiasm during the mela which in the long run would ensure a stress free and healthy environment. On the eve of International Yoga Day, Cantonment Board, Jammu organized a Yoga session at GB Pant Cantonment General Hospital, Jammu Cantt, this morning. About 200 persons including officers of Defence Estates, Northern Command and staff of Cantonment Board participated in the session and performed Yog Kriyas under the guidance of Yoga expert, Ashok Kumar. To celebrate 3rd International Yoga Day, a Yoga session was organized by the Department of Youth Services & Sports, district Jammu, here at Indoor Complex, Gandhi Nagar, Jammu, where in a large number of people from all walks of the life including field officials of the department participated. Dulhasti Power Station celebrated International Yoga Day with full fervor in its premises. On the occasion, three Yoga camps were organized at different locations in which a large number of people participated. Earlier, the camps were inaugurated by PK Langer, General Manager of Power Station. A function to celebrate International Yoga Day was organized at NHPC Regional Office, Jammu. The programme started with prayer in meditative posture, performing of different Yoga postures and ending the Yoga practice session with a Sankalpa followed by Shanti Path. A workshop and cultural programme based on Yoga was also organized. 3rd International Day of Yoga was celebrated today at Salal Power Station, Jyotipuram by organizing a Yoga session from 6 AM to 7.30 AM at Badminton Hall, Jyotipuram. Besides, cultural programmes were presented by school children and a seminar on ‘Yoga’ was also organized at Conference Hall of Salal Power Station. On the occasion of 3rd International Yoga Day, MCKS Healing Hands and Yog Studio visited Balgran. The yoga session was presided over by Shelly Reen which was very enthusiastically attended by children of different age groups at Balgram. On the occasion, Dr Jagmeet Kaur expressed thanked the administration for providing great platform. A team of Art of Living, NCC officers as well as cadets celebrated International Yoga Day at Nagrota. About 700 NCC cadets from various districts took part in the event. The programme started with prayer followed by Yog Asanas. To celebrate 3rd International Day of Yoga, a district level function of Yoga organized jointly by the District Administration and Nehru Yuva Kendra held in the Auditorium of Government Degree College, Kathua. A large number of people from all walks of life participated in the function and performed Yog Kriyas. Child Development and Rural Welfare Society, Doda in collaboration with United Youth Club organized a Yoga camp at Government Boys High School, Thathri, to celebrate International Yoga Day. Students and staff of Government Girls HSS Thathri, Government Boys High School, Thathri, Lotus Model Academy and BBDVM School participated in the camp. An interactive training camp on importance of Yoga was organized today by Field Publicity Unit, Kathua at Meditation Hall of Durga Temple in Shahazadpur village of Samba district. The training session was started with the video message of PM Narendra Modi on the importance different Yoga Asanas, which was followed by a film showcasing various Yoga Asans. The camp was attended by a large number of Yoga lovers. The 3rd International Yoga Day was celebrated by Nat Manch with great enthusiasm. Participants stretched their bodies to embrace yoga for a better mental and physical health at main venue of Nat Manch Studio, Shakti Nagar. Nehru Yuva Kendra, Jammu in collaboration with Bhartiya Kala Sangam (an NGO) organized a youth convention at Government High School, Raipur-Satwari, Jammu, to celebrate International Yoga Day. Thousands of youth from districts Jammu and Samba participated in the convention. Trikuta Nagar Welfare Society (TNWS) celebrated International Yoga Day under the chairmanship of Ashok Arora, vice president, TNWS. General secretary, Rajinder Kakkar, secretary, Sandeep Sharma, other office bearers and many residents of Trikuta Nagar Colony participated in the celebrations. To celebrate International Yoga Day, J&K Batwal Welfare Association held a yoga class early this morning at Surya Vihar wherein many Batwal community members actively participated and performed Yog Kriyas. The association also felicitated community’s little boy Tarun Motan for participating in 36th National Yoga Championship and winning ‘Gold Medal’ in the 7th State Open Yoga Championship. On International Yoga Day, Arya Pratinidhi Sabha and Arya Samaj, Bakshi Nagar jointly organized two-days Yog Shivir at Arya Samaj, Bakshi Nagar, Jammu, which concluded today. About 100 to 125 people attended the Yoga Shivir.